This was a design challenge...First, the room is super small and to create a functioning nursery without feeling cramped was difficult. Second, I had no idea how many gray colors were out there for paint! We must have tried 15 different shades before we FINALLY found our perfect color. 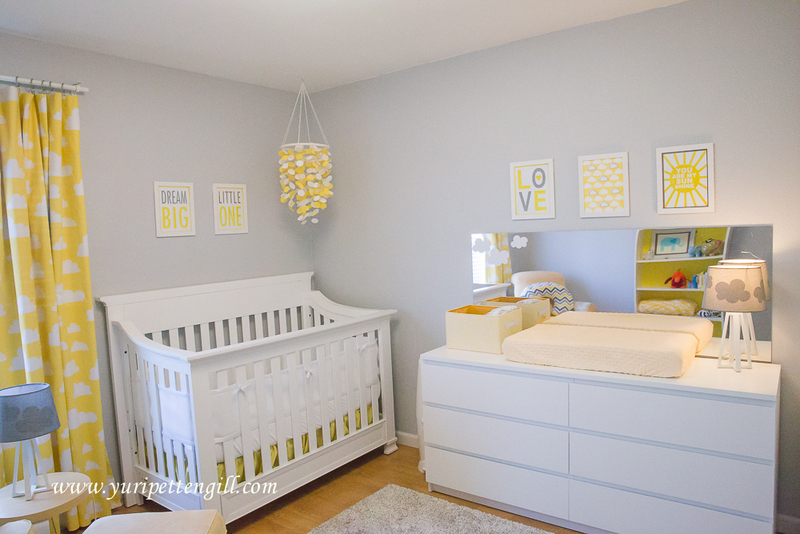 This is the final Grey, Yellow and White, Cloud themed nursery for my newest little boy Andrew. After searching here, pinterest and Etsy, I decided to try and DIY this room. I ended up making about 90% of the items and loved every minute of this labor of love. I found the curtain fabric from a Farg and Form on a European site and fell in love. I ordered as much as I could get my hands on, and made everything else in the room to match. Boppy Cover: Awesome vendor on Etsy - Also got the crib sheets in minky fabric - super cozy! I love the cloud design that was all inspired from the curtains. Whimsical and sweet...just like my baby. Just because you have a small room doesn't mean you can't dream bog for your little one! You can make so many things and save a HUGE amount by DIYing. Which blog or instruction did you follow for Mobile? 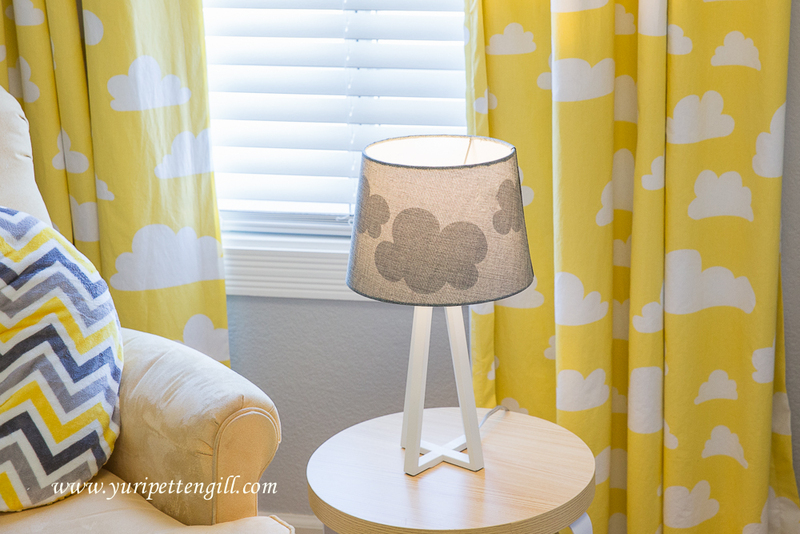 Hi, where did you purchase the yellow cloud fabric for the curtains? The link doesn’t work. Where did you get the designs for the art work? Are they files you can share? Or is it something that can be purchased? Thanks! Also, what is the size of this room?